How To Upload Torrent | Team OS : Your Only Destination To Custom OS !! Tutorial For Uploading Torrent In TeamOS with TeamOs Tracker. Step 1: Visit The Torrent Page : - http://www.teamos-hkrg.com/index.php?torrents/ and Click On Upload Torrent. Step 2: Select Category For Your Torrent. Step 3: Put Details Of Torrents As Per Required. Step 4: Now Moving Aheah For Torrent Creation , Open Utorrent or any other Client , We Are Using Utorrent For This Tutorial. Click On Create Torrent. and Be Sure To Tick The Private Torrent Box and Start Seeding. After That Click On Create And Save As And Save Your Torrent Wherever You Want. 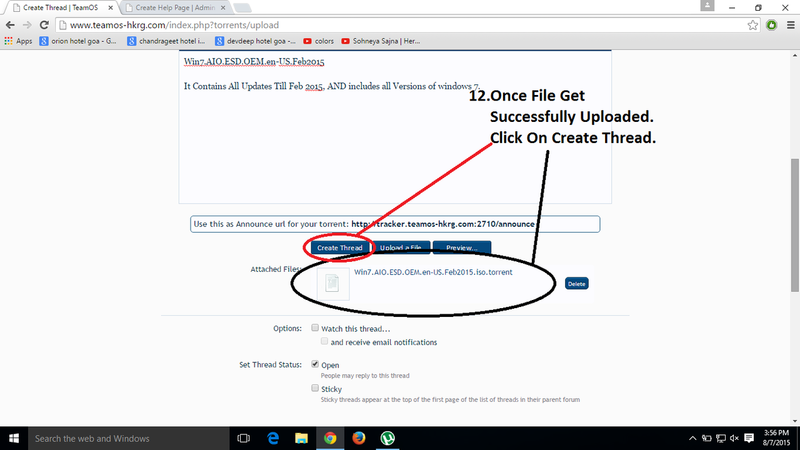 Step 8: Torrent Has Been Successfully Uploaded , Now Click On Create Thread. Step 9: Re downloading Torrent So That It Gets Start Seeding and working. Step 10: Loading Trackers Of Downloaded Torrent In Old Torrent inside U-torrent. Step 11:Succesfully added New Tracker and Torrent Starts Seeding :). Step 12: Deleting Old Tracker Which is Without Passkey. Step 13: Details Of Seeders In TeamOS Site after succesfull Upload. Important Steps , if u Miss or Don't use them u will not able to upload torrent and it won't seed. 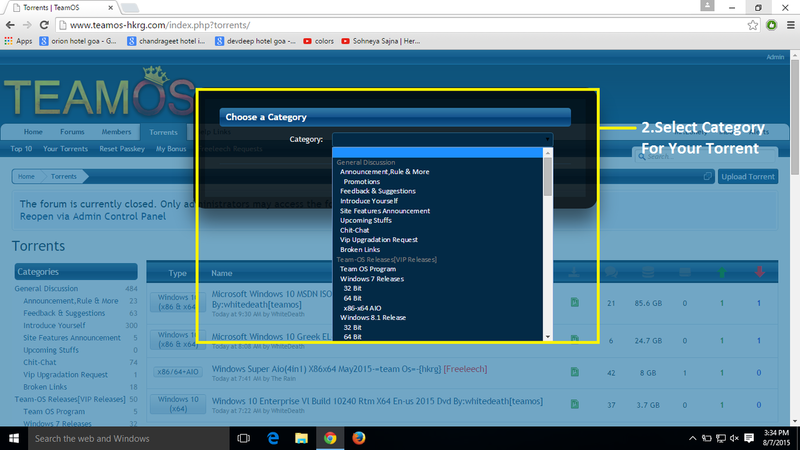 2.Be Sure To Tick Private Torrent Box while Creating Torrent.